Professor Raymond Suttner risked life and limb in opposing the apartheid regime as a member of the ANC and SA Communist Party. Now, he gives his reasons for severing these connections in 2005. In conversation with Apartheid Museum curator, Emilia Potenza, at the Rabbi Cyril Harris Community Centre last Wednesday, he tells how he made this break based on the same ethical grounds which made him join in the first place. Suttner’s leaving his former comrades was not easy. “I have a sense of loss and loneliness… but companionship relates to shared values and shared experience; these values were ruptured and the experiences they are now embarking on, are ones that I want no part of. 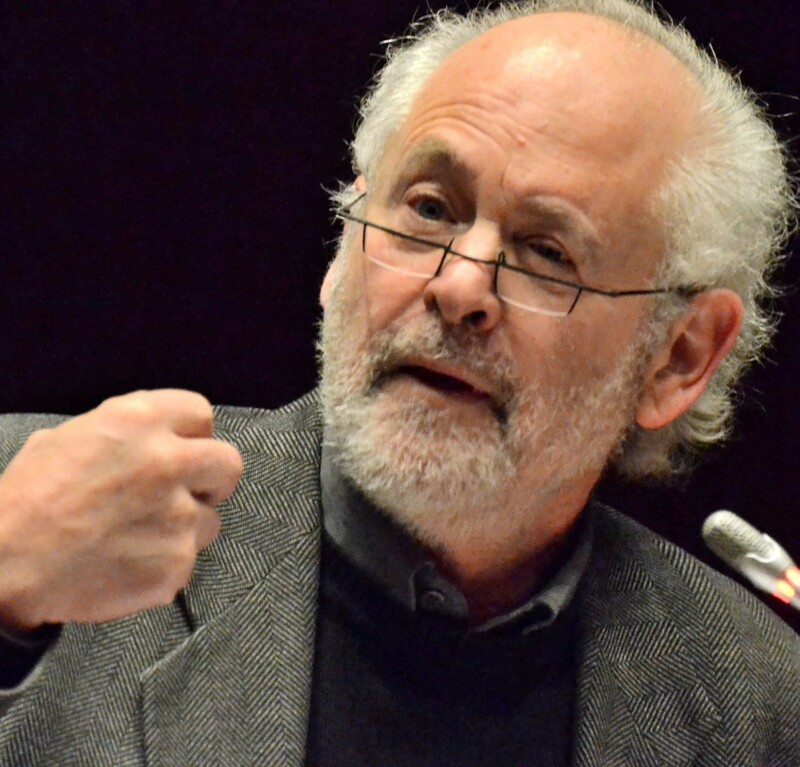 On the future of South Africa, Suttner posited that people mustn’t expect a messianic figure to be put in place at the end of the year and that everything will fall into place. Advocating “baby steps”, he said South Africa should find a way of uniting people around limited goals, such as defending the Constitution, ending corruption and being led by unifying people who were non-party partisans – for example, religious figures. “People are already out there on the streets defending the Constitution, but a lot of them are linked with returning the ANC to what they regard as its ‘true self’, a sort of romantic golden age. He had to ask himself these questions, because he had trained some of the young people who had voted for Zuma and regard him as only an aberration. Speaking on his joining the resistance to apartheid, he said: “To join the Struggle is to embody the pain of the oppressed in yourself. Initially working on his own after coming back to South Africa in the mid-1970s, when he abandoned prestigious Oxford doctorate studies to return to this country and contribute to the Struggle, he was arrested in 1975 and sentenced to seven-and-a-half years imprisonment. In a statement from the dock at the end of his trial in the Durban Supreme Court, he said: “I am not the first person, nor the last, to break the law for moral reasons. I realise that the court may feel that I should have shown more respect for legality. “Normally, I would show this respect. I would consider it wrong to break laws that serve the community. But I have acted against laws that do serve the majority of South Africans, laws that inculcate hostility between our people and preclude the tolerance and co-operation that is necessary to a contented and peaceful community. He was placed with the few whites who had been sentenced for their activities in the ANC, including, Rivonia trialist Denis Goldberg, who was serving a life sentence; the blacks convicted, who included Nelson Mandela, were sent to Robben Island. After Suttner’s release, he resumed his activities and was arrested and sentenced a second time. After serving this sentence he was placed under house arrest in 1988. He was severely tortured by the security police, including electric shock treatment. He was often subjected to verbal and anti-Semitic abuse as well. “I heard some people held out for a very long time, but then told things they had never been asked, because they were so exhausted from the torture. As far as I knew, I was the first white to be given electric shocks. “I was a Communist and they treated my being Jewish as equally criminal. They would say: ‘Hierdie Jood, ek gaan hom doodslaan – This Jew, I’m going to kill him’. It was almost interchangeable. Back to the present, Suttner was asked whether he was hopeful about the future in this country.